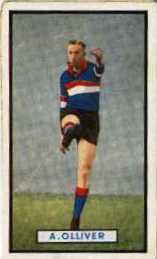 ANOTHER long service follower is ARTHUR OLLIVER, captain-coach of Footscray, who can look back with pride to many fine achievements for his club. 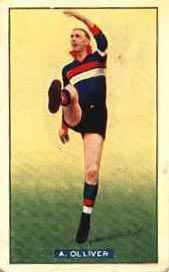 I recall the hard fight Footscray had to wage before Arthur signed on the dotted line. 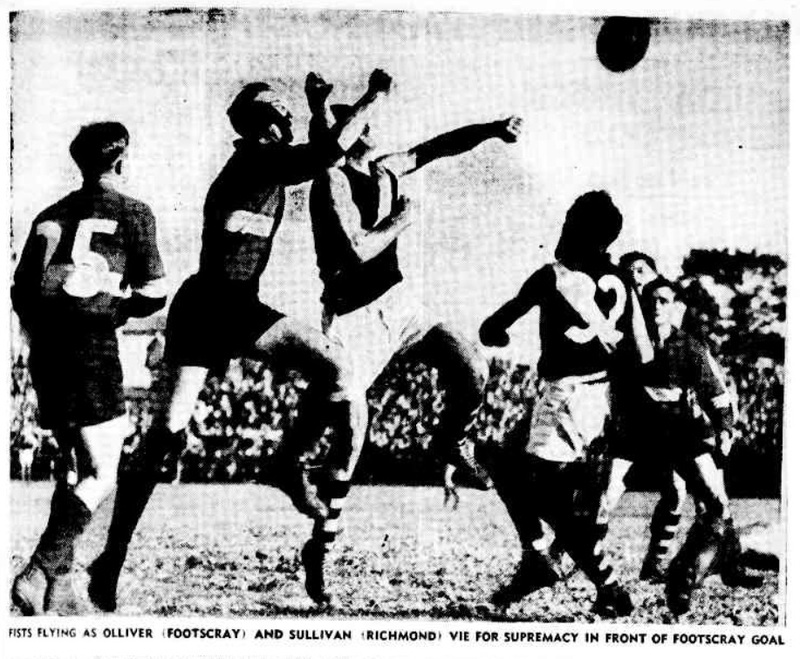 He had played so well for Footscray Technical School that Melbourne scouts, who had been "tipped off," snapped him up, but he was a Footscray boy, and had to play with that team. I'm sure he has not regretted it, and I'm equally sure that Footscray look back with pride to the day they found a champion. 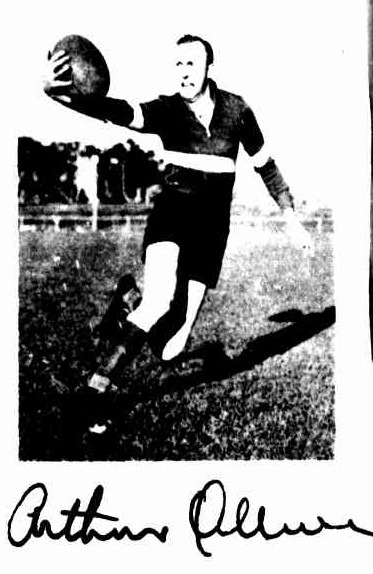 Arthur has played regularly since 1935, his tally being 255 games and 304 goals. He is 6ft. 2 ¿in. and well over 14st., is a superb mark, and a fine kick. He has grand judgment and plenty of dash, and can play anywhere. -It is that versatility that makes him. such a valuable player. 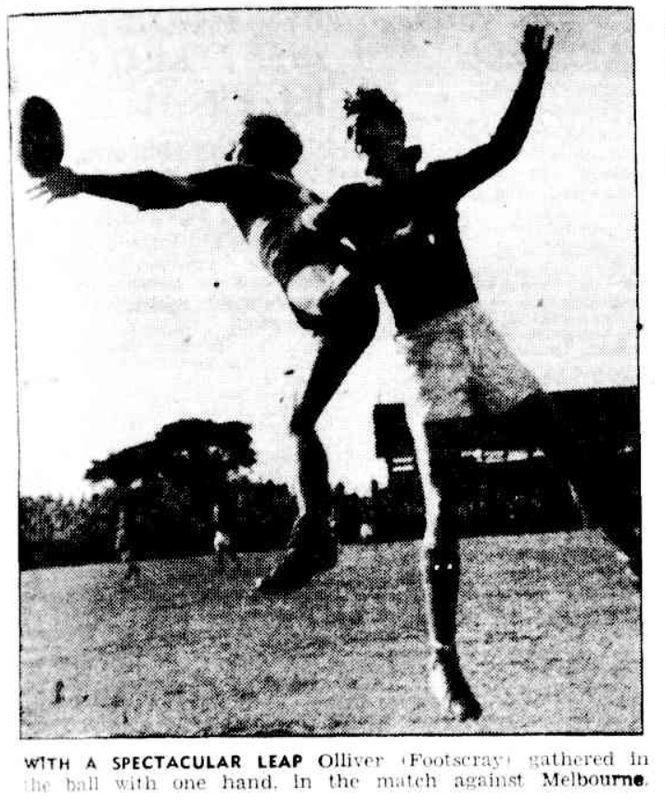 He and Len McCankie, a former schoolboy champion, make a formidable pair in the ruck.